Even when we think they’re not watching, they’re watching. Even when we think we’re not parenting, we’re parenting. 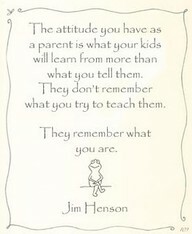 The life of a parent is a classroom, a breeding ground for lessons. We can rattle off advice all day, but only when our kids see our advice in action does it hit home. Whatever we expect of them, we must expect of ourselves. To be better parents we must first be better people. Modeling good virtues is a big part of parenting, but so is teaching our kids to handle life – real, hard, complicated life. At every age, life will throw them game-changing curve balls. Will the curve balls take them out or make them better players? How resilient will they be? A mom once told me about a woman at her church who claims her greatest life lessons came from watching her mother go through cancer. Seeing her mom at her worst (physically speaking) yet handling it with strength, prayer, grace, and dignity taught her how to persevere during difficult times. It instilled a reference point she’d draw on the rest of her life. 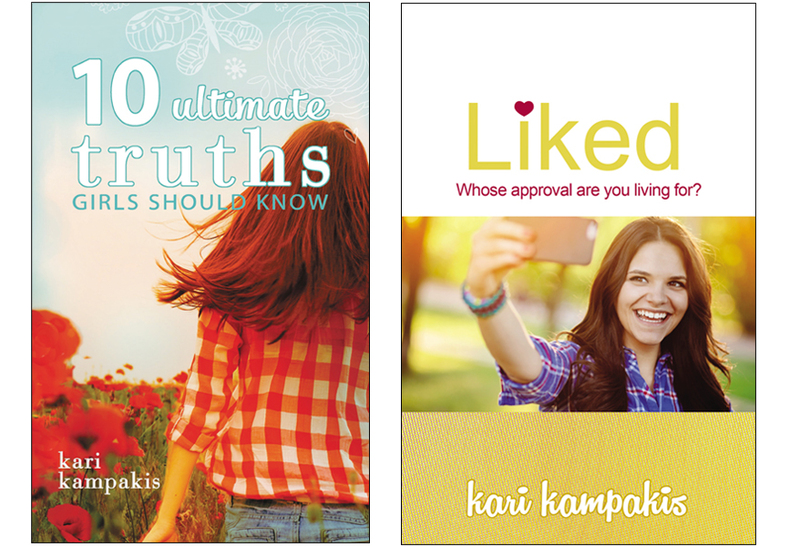 Of all the gifts her mother gave her, these lessons top the list. When I reflect on this story, I think about the mother. I bet she felt tremendous guilt over the time, attention, and nurturing she thought she’d robbed her family of. I bet she laid in bed at night worrying about the effect on her kids. I bet she thought she was failing them as a mom. But parenting is more than caretaking. It’s also living our hard adult lives and making the most of any cards we’re dealt. It’s doing what must be done and trusting that with God’s help and guidance, things will work out. It’s taking our own advice to stand strong when we want to crumble. When my kids were young, I thought 18 was the age I’m preparing them for. I thought if I nurtured them into kind, honest, self-sufficient, hard-working, faithful young adults, they’d be set for life, and I could quit worrying. 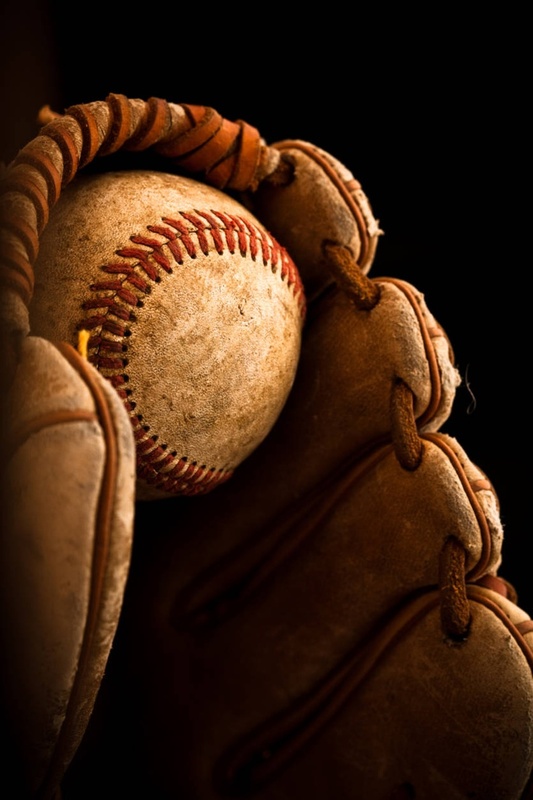 But ever since I turned 40, my parenting perspective has broadened, for now I see the difference between Little League Stress and Big League Stress. When we’re young, we’re thrown curve balls of Little League Stress. Dating. Friendships. College. First jobs. Careers. Marriage. But come mid-life, we’re hurled into a new game of curve balls that can take anyone down, even those kind, honest, self-sufficient, hard-working, faithful young adults whose parents thought they’d never have to worry again. Welcome to Big League Stress. Cancer. Divorce. Death of a spouse. Death of a child. The loss of our parents. Infidelity. Addictions. Job loss. Bankruptcy. Foreclosure. Surgeries. Health scares. Emergencies. Medical diagnoses. This list is endless. I love my 40’s, because there’s such freedom and clarity found in this decade. On the other hand, there is also intense suffering. Add to this the everyday stress of mid-life – kids, work, mortgages, bills, making time for a spouse, making time to enjoy life – and you understand the pressure cooker environment. It’s enough to make anyone snap. So instead of using 18 as my benchmark, I now think more about who I hope my kids will be at age 40. I wonder how I can foster the skills they’ll eventually need to handle Big League Stress, because if they can handle that, Little League Stress will be manageable. This brings me to my original point: modeling. Because I’m in my 40’s now, I should strive to be the person I hope my kids will become. I need to view every obstacle in my life as a parenting opportunity. When Big League Stress stares me down, I should think about what I’m modeling, and whether I deal with adversity in healthy, faithful ways. Do I wish I was a saint, and that I never cowered under pressure? Of course. Then again, I’m glad my kids see me struggle…and fail…and try, try again. My fallibility is a gift – the gift of imperfection – and by embracing my humanness, and acknowledging how weak I am alone, and how strong I can be with God, I hope to instill in them the courage to face any curve balls that unexpectedly come their way. There are times our grown-up problems take away from our family, or call us to make choices our kids can’t understand (a mom going back to work; a family downsizing homes). But before we beat ourselves up or worry all night long about whether we’re scarring them, let’s ask if we’re doing the right thing and leaning on God for guidance. Because if we do those things, our kids can ultimately benefit. God works all things together for good for those who love Him (Romans 8:28). 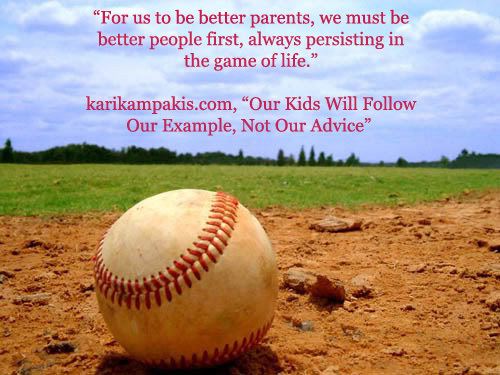 We’ll never be perfect parents, but we can be persistent parents. We can stick with the game of life despite the curve balls that we face. And should we want to quit, we can remember that little eyes are watching. The kids are taking notes, learning how to be the kind of players we are now. And if you ask me, that’s the best motivation there is to keep going, keeping growing, and keep moving forward.